In this four-part series, FundApps will explore some of the more complicated aspects of position limits in detail. We'll be covering regulation set by the CFTC, MiFID II and the HKEX. For the calculation of spot month position limits, exchange calendar information is required, typically to identify the point in time at which the spot limit becomes effective. For example, the spot limit may be effective from 'the close of business of the 5th trading day before the last trading day of the delivery month'. In other words, in order to ensure compliance against the spot month limit in this instance, a market participant must know the last trade date of the contract. The market participant manually checks each contract they hold for the last trade date (exchanges will typically hold this information one year ahead). The market participant looks to build something that enables them to automatically check the contract information on the exchange’s website. An automated solution would be the most desirable, regardless of the number of base commodity contracts held: manually checking dates tasks a lot of time and mistakes can be made. However, if the market participant trades across multiple exchanges, the scope of work increases exponentially. Additionally, if a holder has just one contract on an exchange, does it make sense to automatically obtain the calendar information - or would a manual process suffice? 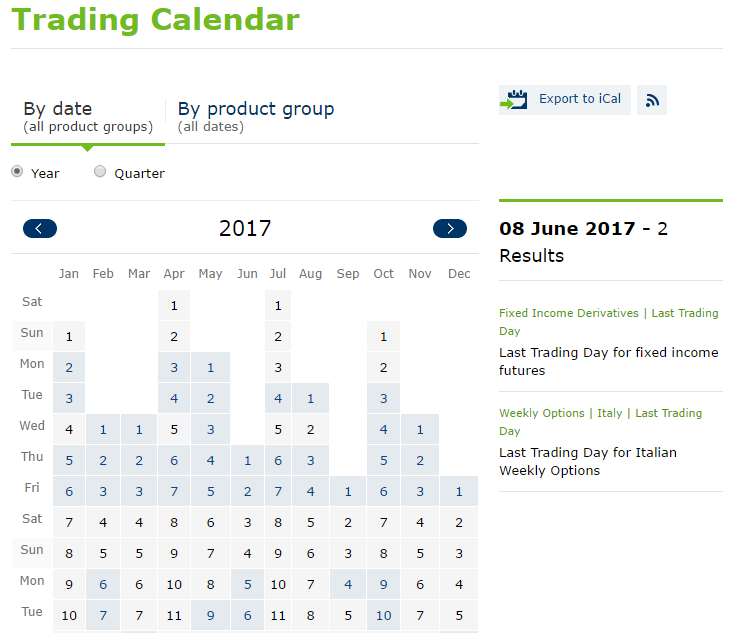 With EUREX, an interactive calendar is shown with the contract specific details on the right hand side. With CBOT, the contract information is tabulated with multiple months displayed together. This is just the difference between two exchanges. With every exchange representing different calendar information in different formats, the analysis and technical expertise to obtain the required information is an almighty and one that would scare off many users to decide on a manual solution. This is where FundApps can help! 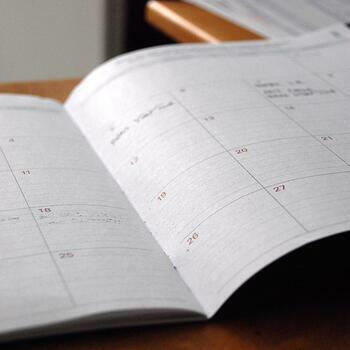 Without the relevant calendar information, spot limits cannot be monitored, making compliance impossible. FundApps’ position limits service automatically sources all the required calendar information to keep market participants compliant with spot and non-spot limits. FundApps allows users to continuously monitor their positions against exchange limits with a powerful, intuitive platform. To see our position limits service in action, or to find out more about how we make compliance simple, book a demo or contact us. To find more useful position limits content and to stay up to date with the latest regulatory developments, join FundApps' Position Limits group on LinkedIn.